Just because your in Pennsylvania and they say Carlisle on the side wall, that doesn't mean they were made right down the road. Edited 1 time(s). Last edit at 07/30/2018 02:47PM by UGLYTRUK. This tire did this at about 5 years old. The picture is from today at about 8 years. Still holds air. Edited 1 time(s). Last edit at 07/30/2018 09:13PM by joelsplace. Look Mom, ZERO age cracks! > He said 2@ $40. Is that $40 each or $40 a pair. > $40 each is about the going price for that size. Tell me where you can buy a NEW Corvair tire for $40, I'll take 4 please. Forgot to mention this tire came apart sitting still. I'm sure it would have blown out if I was driving it. Starting in the year 2000- all tire date codes MUST be 4 digits. Also- the date code is only one one side of the tire mold- therefore the tire. Depending on if you want white letters in/ white sidewall in- will determine where your date code is. That tire looks like the winner of the burnout contest. I just bought 4 'new' tires for my wife's Hummer $107 each delivered with an additional $70 rebate, actually pretty good price, Cooper tires through Amazon.com. They arrived in about 3 days, three were about a year old, about average, fourth was 5th week of 2016. We filed a complaint and they gave us $90 back. So $268 for a set of tires, pretty decent. I plan to buy another and use the old one as a spare. Check where they were made. Cooper has had serious issues with their Mexico plant. I have a ruined bed on my truck because of it. 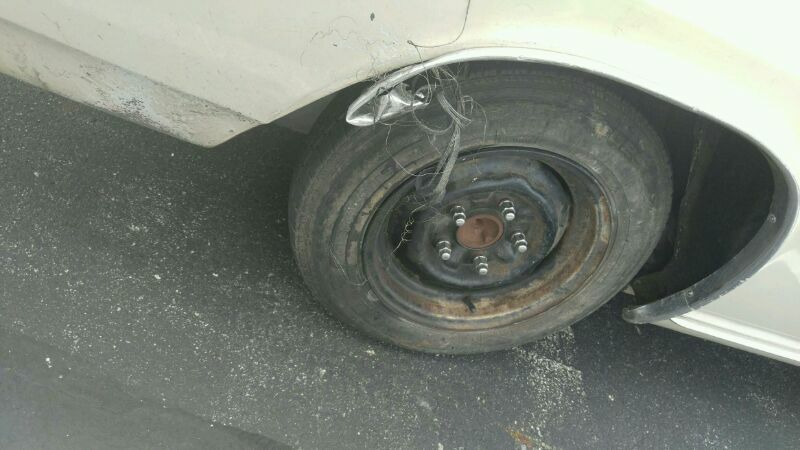 Young tires with plenty of air blowing out with no warning. They did pay for the tires. I looked all over and could not determine a birth place, you'd think it'd be somewhere. The reviews on these particular tires are pretty good. 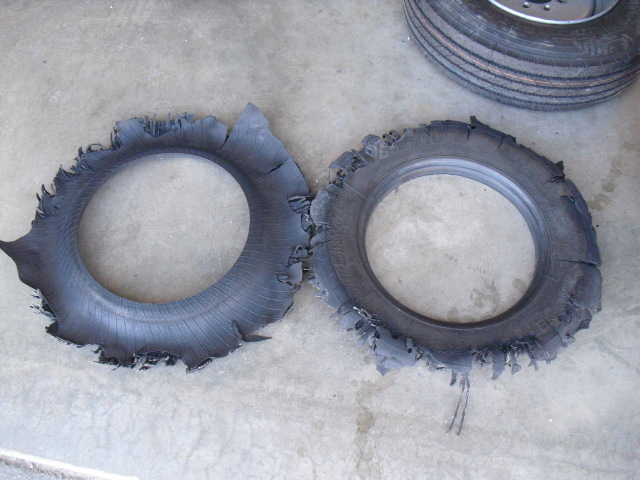 > on these particular tires are pretty good. Its always there somewhere, its often small and only on side, usually closest to the rim. Between the tire tread on the left.... Is that a flower pot I see?? Don't want to know why. That looks like a safety cone to me. 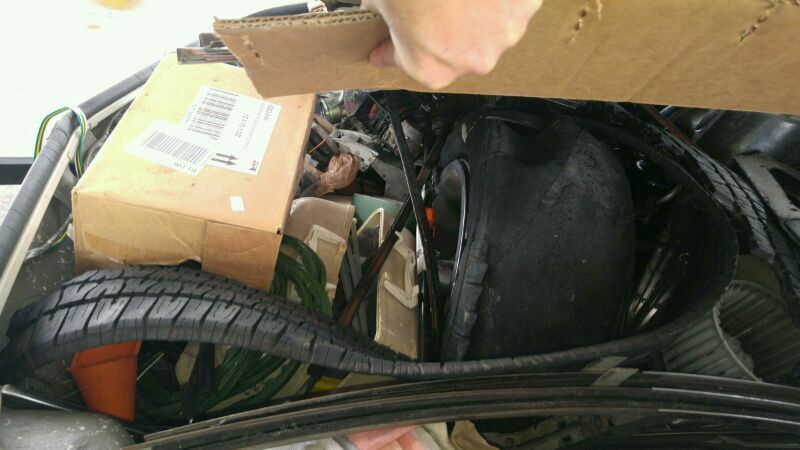 I am as "thrifty" as anyone here about many things, but not with tires. 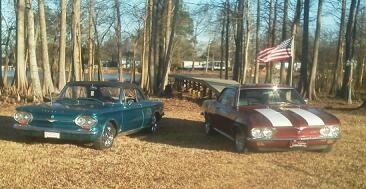 I learned my lesson in the 70's with a set of Firestone 500 tires on my Corvair. When the tires were checked, 3 out of 4 had tread separation while still on the car. Replaced the full set with new, non Firestone tires that day. In June I got my 67 back from 10 months in the paint shop and inspected the tires. Cracks in side walls and tread area. 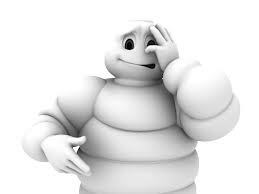 Next day all 4 tires were replaced with new Michelin's from Discount Tire. $452 well spent. 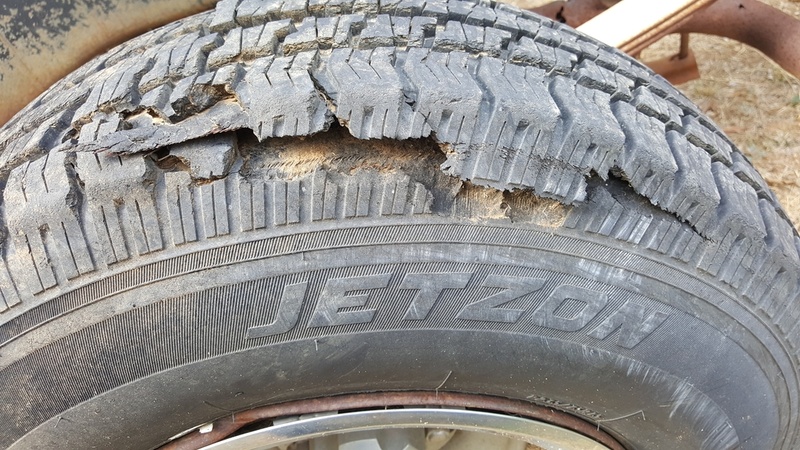 Earlier this year, on an old Jeep I purchased found the great looking tires on the Jeep were 20 years old with no visible cracks at all. But they were replaced anyway in the interest of safety. > things, but not with tires. Yep...tires and brakes. Shortcuts and being cheap in these areas is false economy. How much is your or someone else's life worth?